For most families, choosing a new home is the biggest financial decision they will ever make. There are many complicated decisions involved in choosing your new home. To protect your interests and assure that you make the best possible decisions, it's important that you have a Professional, REALTOR on your side who knows the local real estate market. At Frank Ward, REALTORS, our focus is on getting you the best possible home at the best possible price. We will work hard not only in finding you potential new homes to see, but also in keeping you informed of everything that takes place. As your real estate agent in the local market, we will help negotiate the best prices and terms for you and answer all of your questions as they arise. We will be your buyers agent.This assures that our experience and expertise in the local market will be used in your best interests during the negotiation process. Make sure you take the time, to review the brochure, on our site," Working with real estate agents" This will help and better understand agency. Assure that you seethe properties in the area that meet your criteria. Not just those listed on the local TMLS, sometimes,we may know of un-listed properties that we find through our local contacts and affiliations, If available. Help guide you through the entire process, from finding homes to look at, to getting the best financing. Make sure you don't pay too much for your new home. 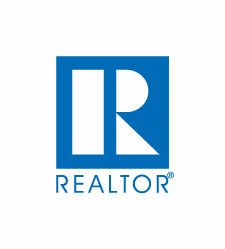 As Professional real estate agents in this area, we help customers negotiate and make home purchase decisions every day. We can help you avoid costly mistakes. Let us help you find your home and assure your best interests are protected throughout the entire process. Feel free to call or e-mail us with any questions you may have at any time. Fill out this form and we will get back to you right away.